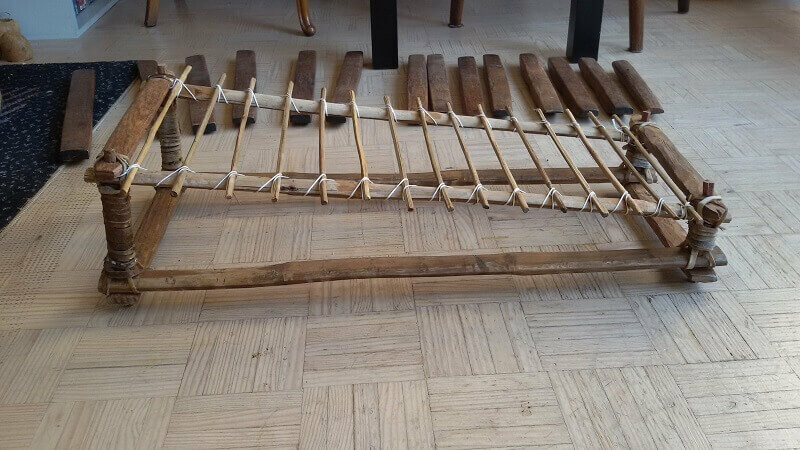 In this blog item I am going to make a report of a complete refurbishing of a balafon for Lisa. 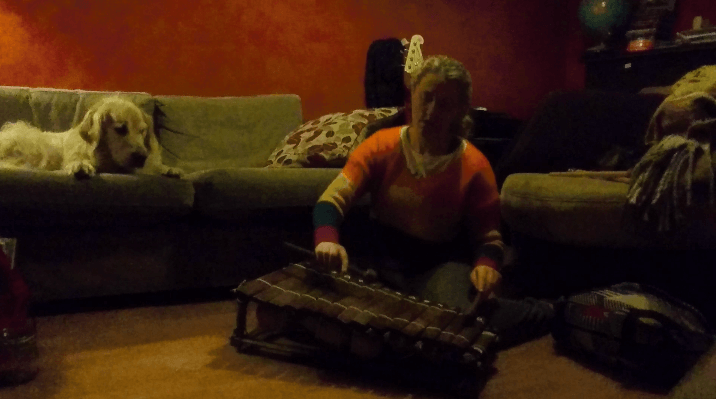 She is an Irish friend who has recently discovered the passion for the balafon. She is another friend of Debbie, who I met at the Tuka-Tuke event , two years ago. Dbbie attended a workshop with me for the first time. 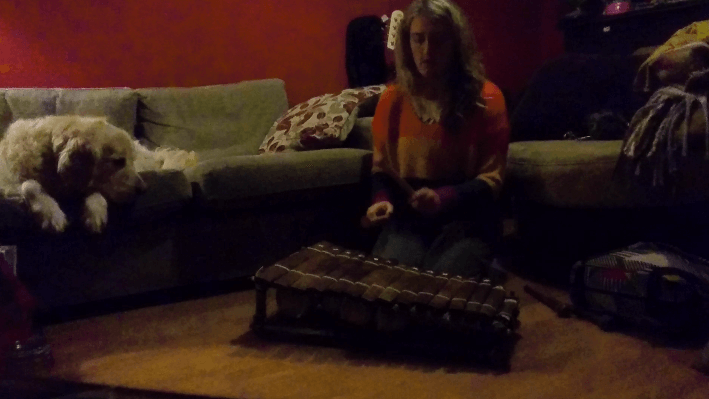 She plays regularly now and she has infected Lisa with the balafon virus. In recent years I have regularly bought or received balafons from marketplaces, from people who no longer any use in them. Some of these were no longer worthwhile to renovate. I have however, preserved the parts. 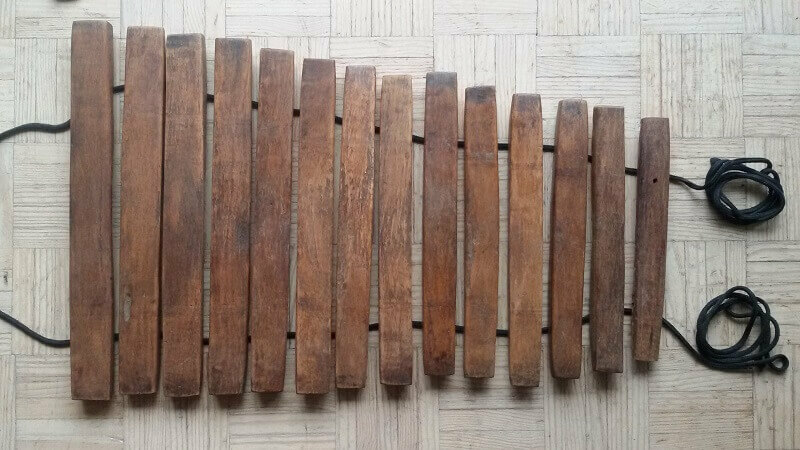 I ‘ve now made a selection to make a balafon of 12 to 14 sound bars for Lisa. To begin with, I will have to make a frame that matches the tone set that I have selected. First decide how many sound bars I will eventually use. In the one with the highest tone there is a hole. 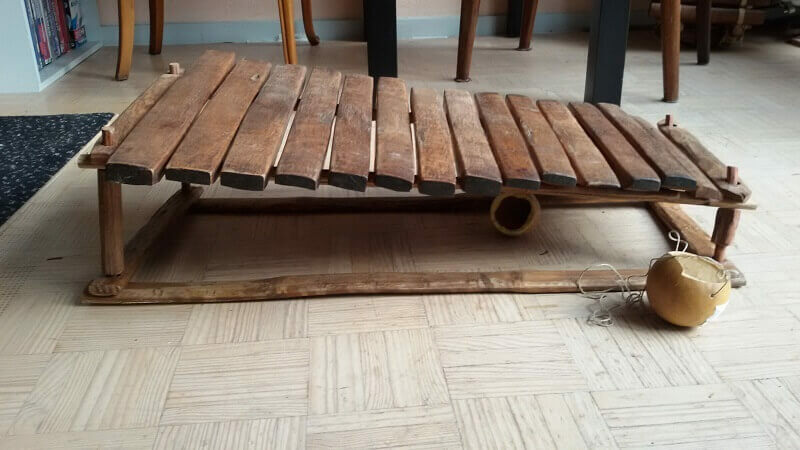 So first let Lisa decide whether she would like an extra sound bar (with a hole) or prefers to have a balafon with all the sound bars without a hole! 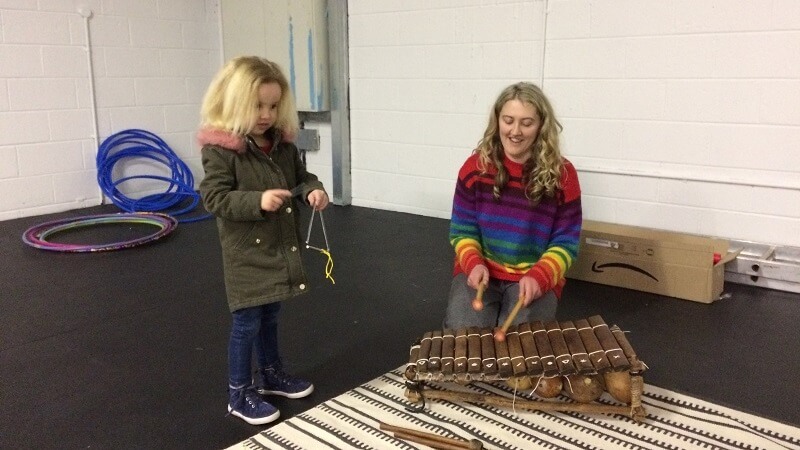 She has already asked me to make the key and tones the same as Debbie’s balafon. That is the key that I use in my lessons: C#-major / A#-minor. I put the whole set down on the floor and you can already hear the basic tones (without them sounding really nice now). 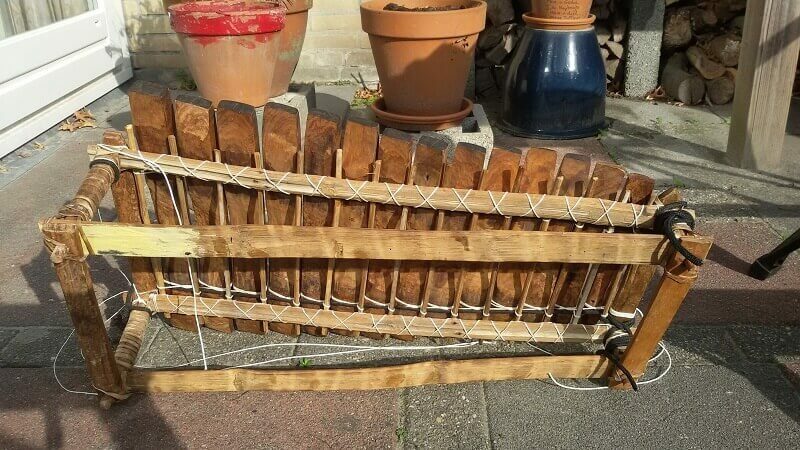 2nd October: Lisa has chosen for the 14-key balafon (with hole in the last key); I can make a start! 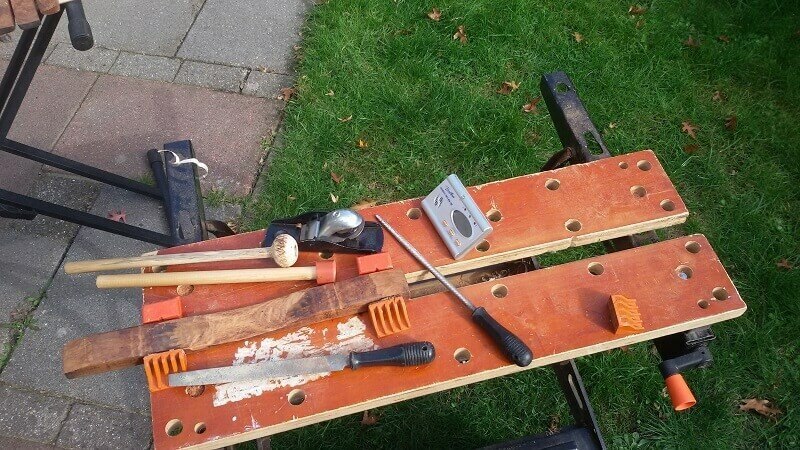 I started to saw the wood parts in the right length, preserving the best parts of the wood. Also I can make a selection of the calabashes that I want to use. The largest one determines the height of the frame! The sound bars are tuned just fine with the help of the phone app: Best Guitar Tuner. 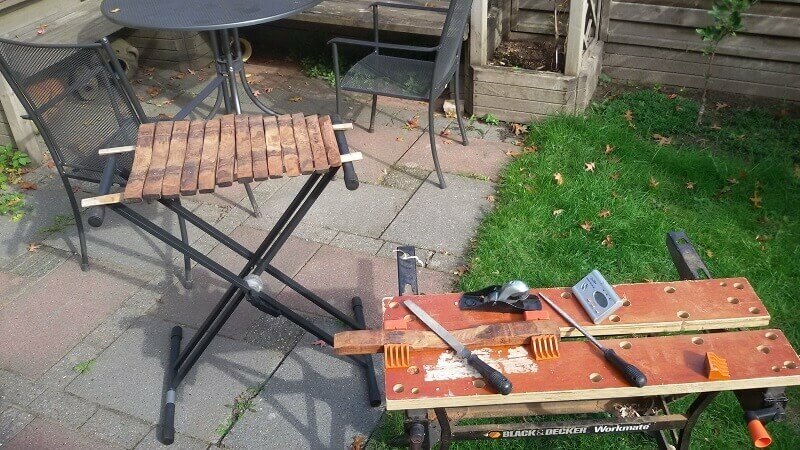 Make the tone a bit higher by scraping away or sanding some wood on the side. Make something lower by removing some material in the middle at the bottom. 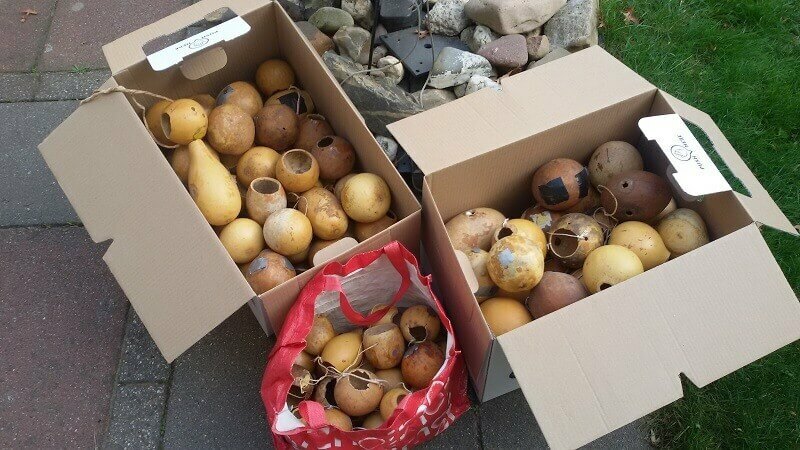 Then I selected the calabashes. 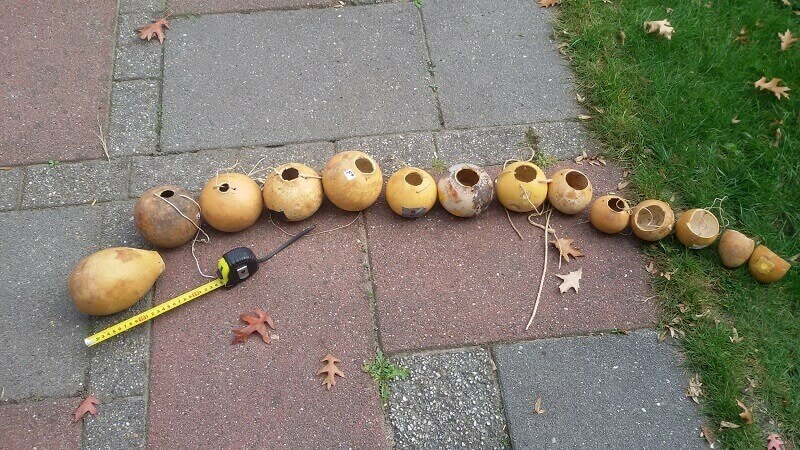 The size and size of the opening determine the resonance tone of the calabash. So first look for size globally and then fine-tune by adjusting the opening of the gourd slightly. The opening can be enlarged with a knife or file. Make smaller by applying some liquid wood on the edges (in stages). 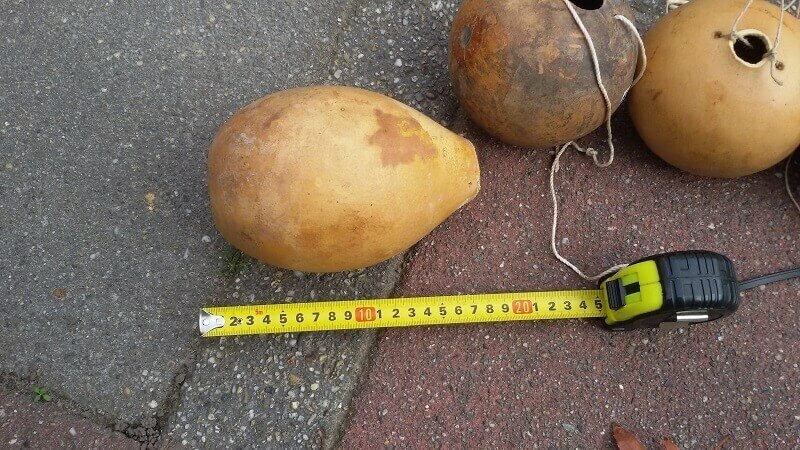 The highest calabash is about 17 centimeter. 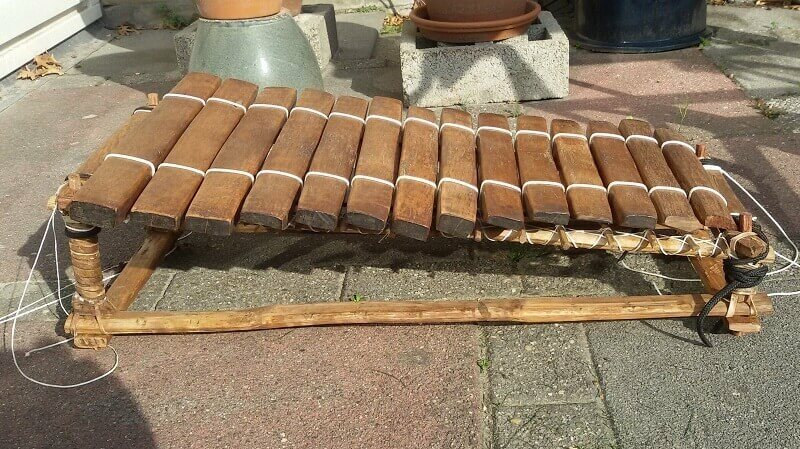 That length should fit inside the frame, to be çlosed in’on the high side of the balafon. I’ve only just come accross this Paul. 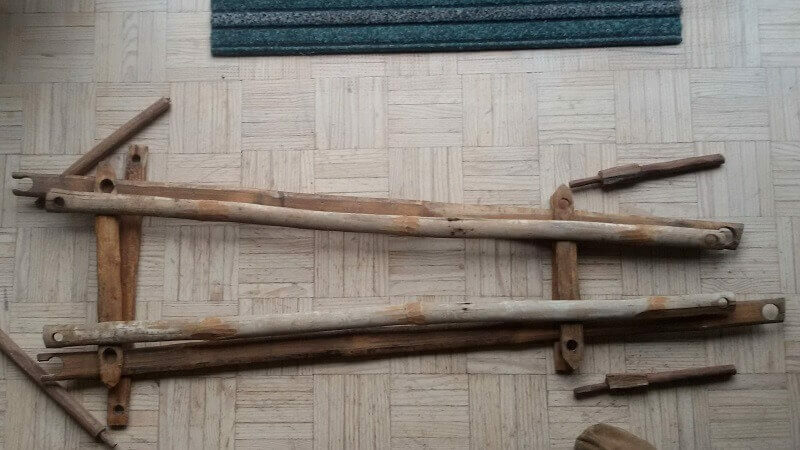 I absolutely love your Balafones. They have the sweetest tones. I’m.completely addicted. 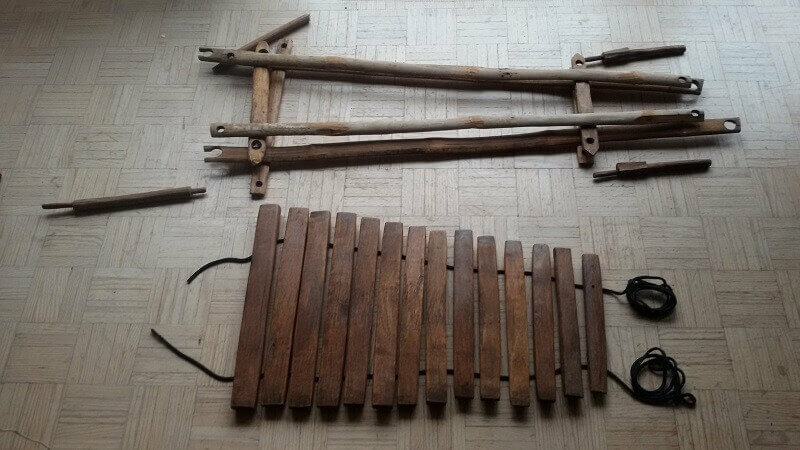 I will post my ‘over – worked’ broken Balafon for repair soon. If you are doing any day workshops or residential…myself and Lisa would love to come along.